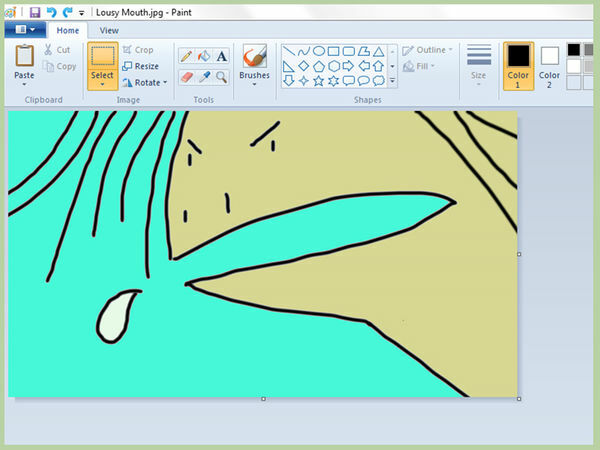 When you are working in Microsoft Paint, you may find yourself needing a closer look at your pictures or designs. Luckily, there are a few short cuts that you can use to zoom in that will quickly become second nature! 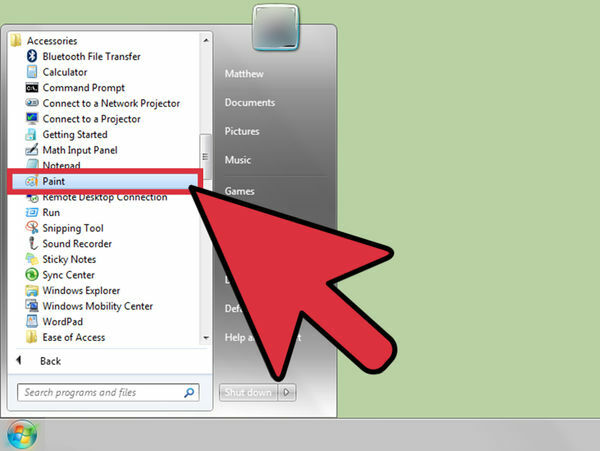 Select the application from the Start Menu or your Finder. Once it has opened, locate the picture that you wish to view. In order to zoom in on the exact location you wish to view, you should make sure that the picture is centered on your screen. You can complete this process several times in order to zoom in more and more. 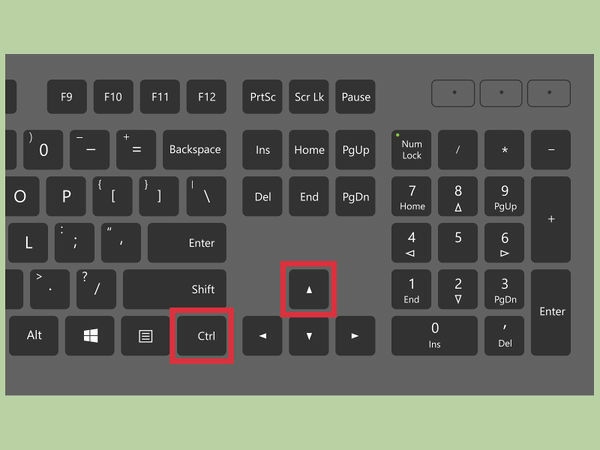 If you need to zoom out, press Ctrl and ↓ simultaneously. 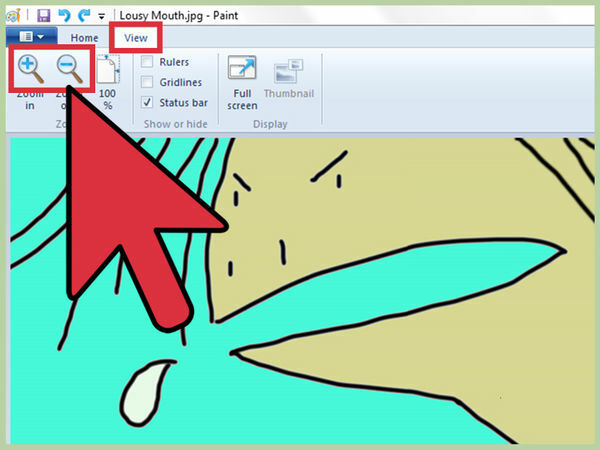 Go to the "View" tab in the tool bar. From here you will see two magnifying glasses, one with a plus inside it and another with a negative. To zoom in, click on the magnifying glass with the plus sign. To zoom out, click on the magnifying glass with the negative sign.